Ideal for couples looking for a relaxing break or for a family sharing both apartments, Lesquite Farm is within easy reach of Fowey, Polperro, Looe, St Austell, and the historic cities of Plymouth, and Truro. The famous Eden Project is just 35 minutes away and The Lost Gardens of Heligan is a 45 minute drive. Lesquite nestles at the end of our farm drive in the midst of beautiful Cornish countryside and is an organic working farm. As you come along our lane the peace and tranquillity embraces you. Drive down the hill and suddenly Lesquite opens up in front of you and from the moment you arrive you will experience and enjoy our informal, yet caring hospitality. Lesquite is bounded on one side by a tributary of the river Fowey which meanders along the wilder edge of our garden and then down through the woods and on to the sea. There are two woods at Lesquite, one with some very old oaks guarding the secrets of centuries and protecting the wild life beneath them. The other, not so old, hiding an otter holt and bright with carpets of bluebells in the spring and masses of foxgloves in the summer. The gardens are informal and wildlife friendly with lots of bulbs, trees and climbing and rambling roses- their scent on a dewy May or June morning is complemented in the evenings by the perfume of honeysuckles. You can see butterflies and moths, imagine badgers, foxes and otters peeping through the undergrowth. Buzzards, barn owls and tawny owls live here, and moorhens and mallard hatch their eggs near the pond. 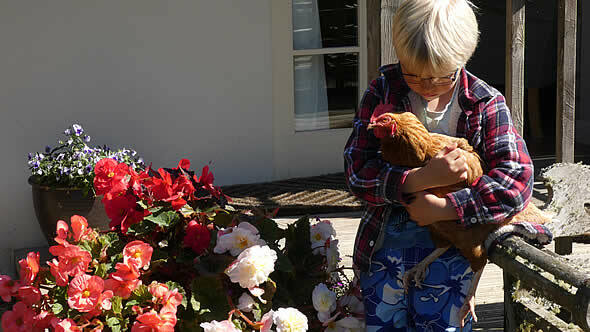 In this most beautiful part of Cornwall, my family, grandchildren (plus hens!) 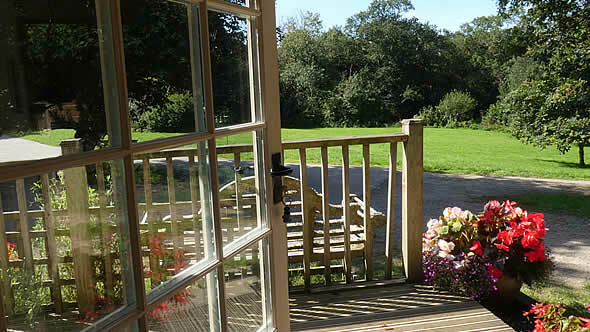 and our labradors welcome guests to share this &apos;little piece of heaven&apos;.